The internet acts as a fascinating archive of times gone by and has been around long enough now to be able to provide interesting back stories and content comparisons. Whilst old news stories are long buried far down in Search Engine results, Google's (much debated) redesign makes it even easier to drag things up from the past. After entering a Search query, the following screen allows a Search to be refined and the options on the left allow for a 'custom date' search. It is therefore possible to search for results between two specific dates with all other results excluded. 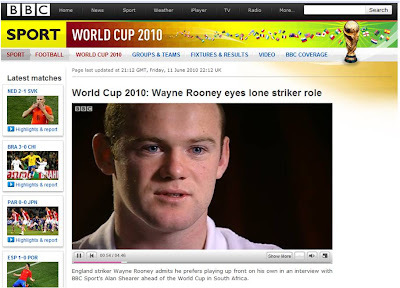 After the 2006 World Cup the England manager was lambasted for playing Wayne Rooney as a lone striker. 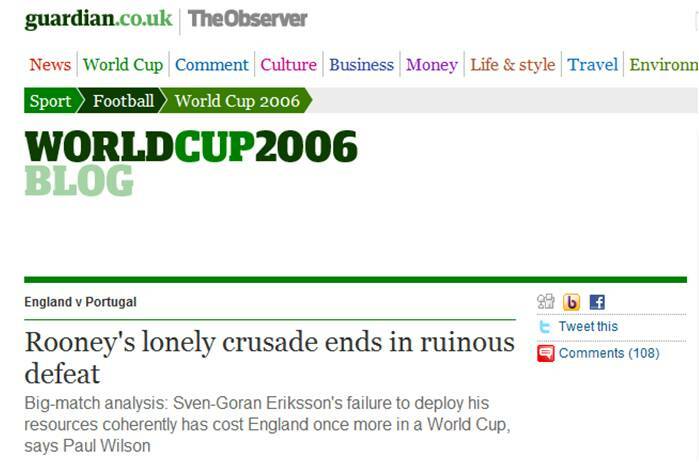 Indicative of the coverage of the time, Paul Wilson of the Guardian / Observer wrote "Sven-Goran Eriksson and his half-baked plan to play him as a lone striker was responsible for making Rooney peripheral." 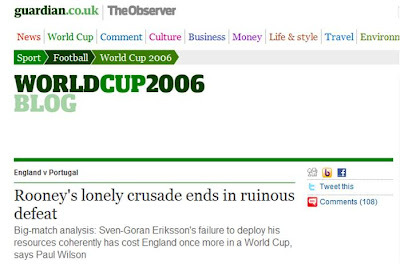 1) The internet has a memory and things never quite go away - how will your content look with hindsight? 3) In the eyes of the media the England manager is always wrong! The Google tools for refining searches, particularly the custom date search, are fantastic aids for researching cultural history and prior events / news archives. Your memory can play tricks on you, but Google doesn't - everything is preserved just as it was and custom date search allows users to see things just as they were.